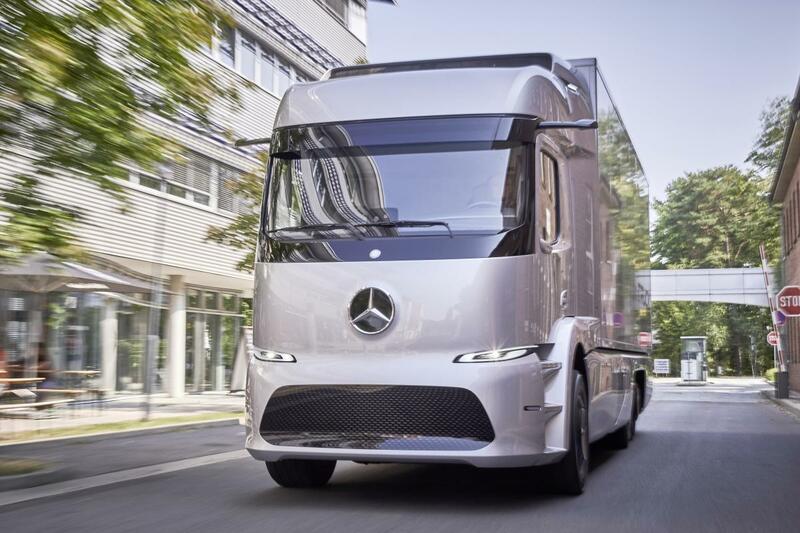 This year, Mercedes-Benz Trucks is bringing the world´s first all-electric heavy-duty truck to market in a small series. Following the presentation of the Urban eTruck with 25 t perm. GVW and a range of up to 200 km at the International Commercial Vehicle Show in 2016, the first vehicles will be delivered to customers this year. "Zero emissions, quiet as a whisper and with a payload of 12.8 t: The Urban eTruck offers an impressive economical and environmentally friendly concept. The vehicle will initially go in a low two-figure number of units to customers in Germany – and later in Europe too. It will be used in real transportation applications there. The aim is to use actual application scenarios and requirement profiles together with the customer to further optimise the vehicle concept and the system configurations of the electric truck. The tests will include use in shift operation, charging times plus battery and range management.